Bijoux Indiscrets Burlesque Sequin Pasties - Shiny sequins to match the spirit of the moment. Gently wash the adhesive side of the pasties with mild soap and water. Let them air dry and replace the plastic protectors. Keep them in their original box, to keep them dust- and lint-free. The Burlesque Pasties reclaim the spirit of cabaret and vaudeville theatre - Burlesque Pasties reclaim the splendor and sophistication of those nights, to bring an authentic vintage touch to your seduction. 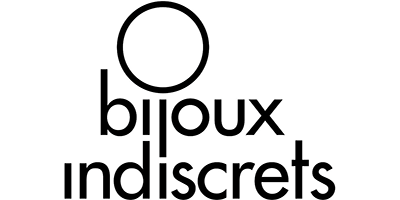 The Bijoux Indiscrets’ Buerlesque collection is the simplest and most seductive way of turning yourself into an explosive burlesque dancer! A sensual dance is one of the most timeless, simple and effective ways to seduce and fantasize with your lover! When it comes time to dance sensual, you need to keep several things in mind - First of all, some mood setting will help you to get in the right frame of mind. Make sure the lighting is right and remember that the furniture can be put to good use: chairs, door frames or columns are all great dance props. Plus you don’t need to have the figure of a ballerina, your lover will be focused on the dance, so dance. Try to be graceful and agile in your movements, don’t freeze. Get close, insinuate yourself, but keep at a distance so he can’t touch you. Play with your eyes, making sure he never takes his off you. Hair and clothes are important props. Start out with your hair up so you can shake it loose. A sensual dance is an invitation to a unique show, make sure he doesn’t miss it!